Hasbro's Air Raiders debuted in 1987. Among the flurry of toy ideas in the 1980's, Hasbro came up with the line of the Air Raiders. It was quite an interesting concept, utilizing air firing missles, unique vehicles, and 2 inch figures. The line was unsuccessful, probably due to under exposure with no cartoon or other merchandise to compliment the toy line. Air Raiders only lasted one series, but they remain a neat facet in the history of the 80's action figure boom. Air Raiders action figures are quite rare these days. I am not sure of how readily stocked they were when they first came out in 1987, but some Air Raiders items can go for quite a high price on ebay. 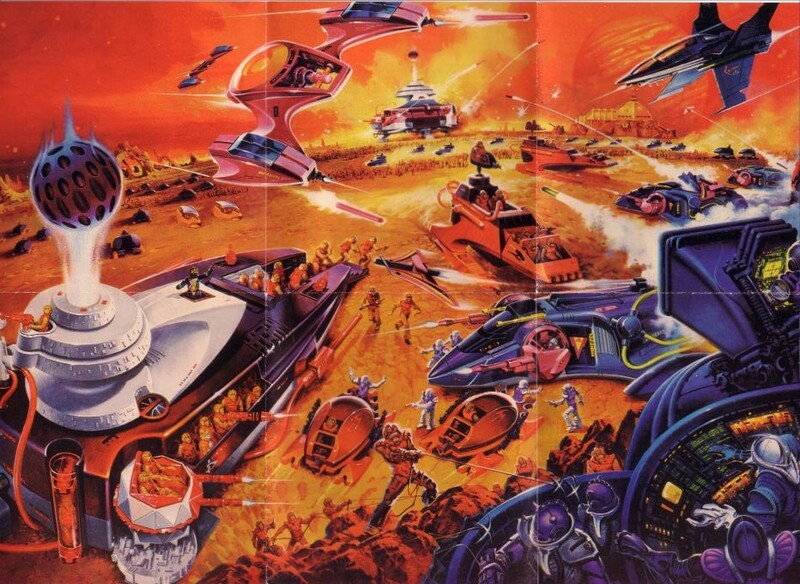 The toy line was comprised up of two factions, the heroic Air Raiders and the evil Tyrants of Wind. The Air Raiders consisted of the Battle Squard 5-Man Pack, Thunderclaw, Storm Dagger, Twin Lightning, Thunderhammer, Man-O-War, and Command Outpost. Meanwhile, the Tyrants of Wind consisted of the Enforcers 5-Man Pack, Wind Razor, Wind Seeker, Hawkwind, Dragonwind, and Air Refinery (this item was probably never released). On the planet of Airlandia, two groups fight for the control of all the air. The Air Raiders, a band of daring rebels fight to usurp the dictatorship of the evil Emperor Aerozar, his 4 Lords of the Winds, and the evil Enforcer warriors. The Air Raiders' secret base, located in the Petrified Cloud Forest, is Airlandia's only safe haven for air. The struggle for life, power, and air are all inclusive, and only one group shall claim the victor.